I'll admit that I was a little nervous about this purchase for two reasons: 1) I'd never purchased vintage online before and although I made sure to double-triple check my measurements I had nightmares of this piece arriving and not fitting, thus braking my cold black heart and not being able to return it, and 2) the vendor made it seem like there was tons of fabric by both stating that there was and only showcasing photos where the skirt was lifted up showing off how full it was. My fear was that it was be too bunched up or something and possibly hide the awesome landscape of the dress. 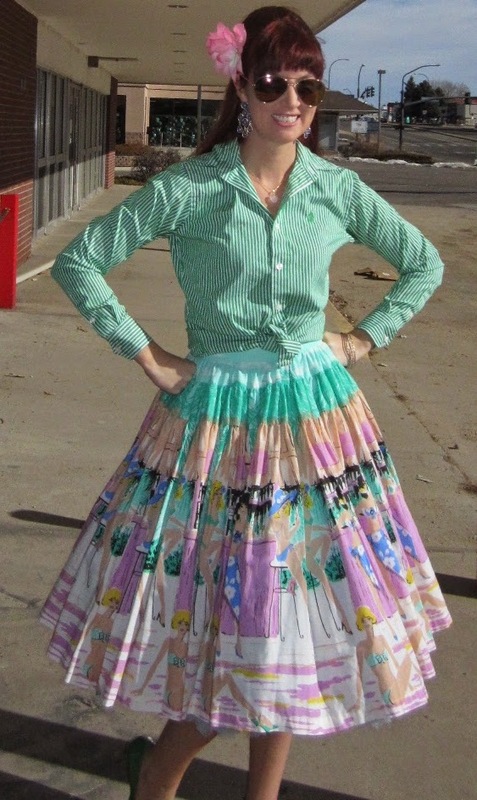 Luckily it just turned out to be a circle skirt and I feel it's normal compared to other circle skirts I have! I ordered this dress last Memorial Day (even vintage goes on sale ladies, so it you want to take a gamble and wait for a holiday while crossing your fingers that it doesn't sell out it may be worth it!) and have had a ball with it in the short time that I've owned it. 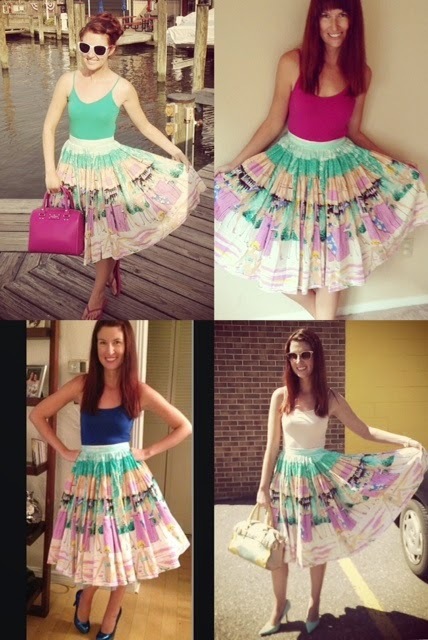 One of the reasons why I wanted to start a blog is that I have so much fun trying to match different colors to pieces of clothing to bring out different colors in a skirt or dress, and having a blog would be an excuse to do so! 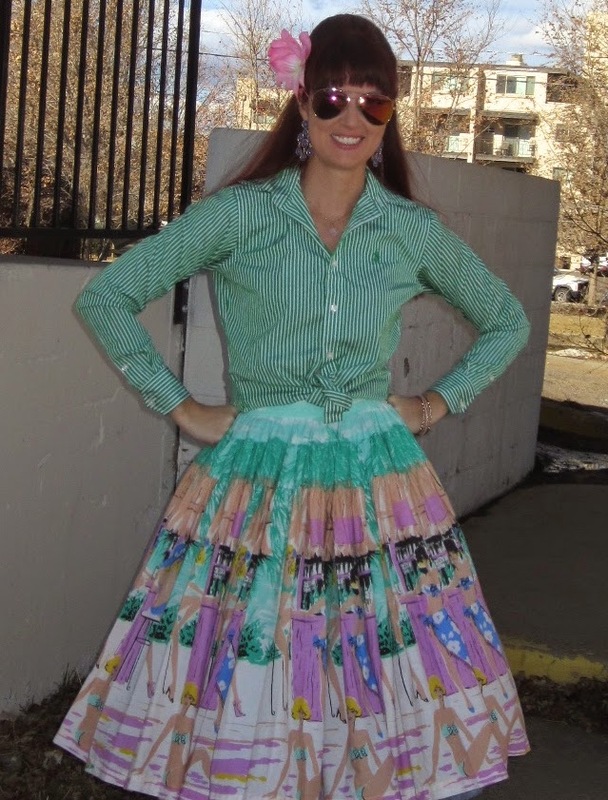 This skirt is a dream in regards to pairing it with different shirts and shoes and I have several ideas of different ways I want to keep styling this gem. 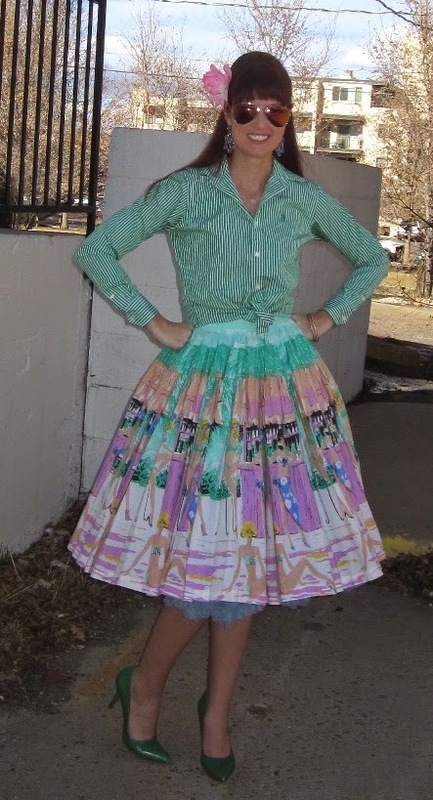 AND, I love that I'm ironically wearing this now in the middle of January, being that it's the epitome of a summer time skirt!! 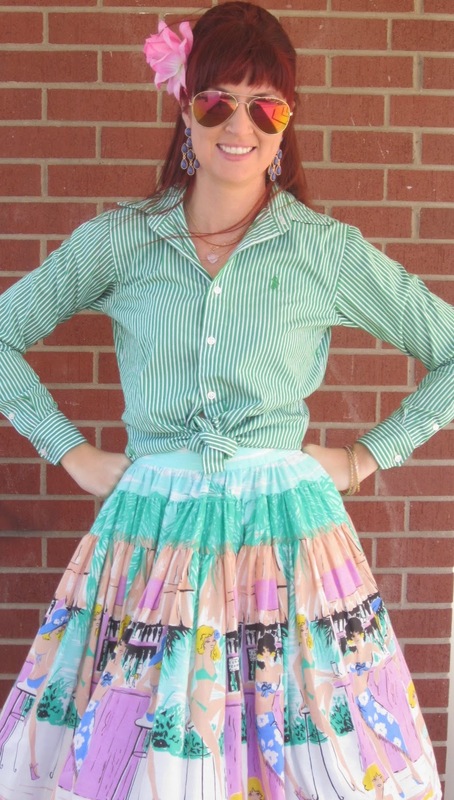 Oh, what a charming skirt! Love the print!